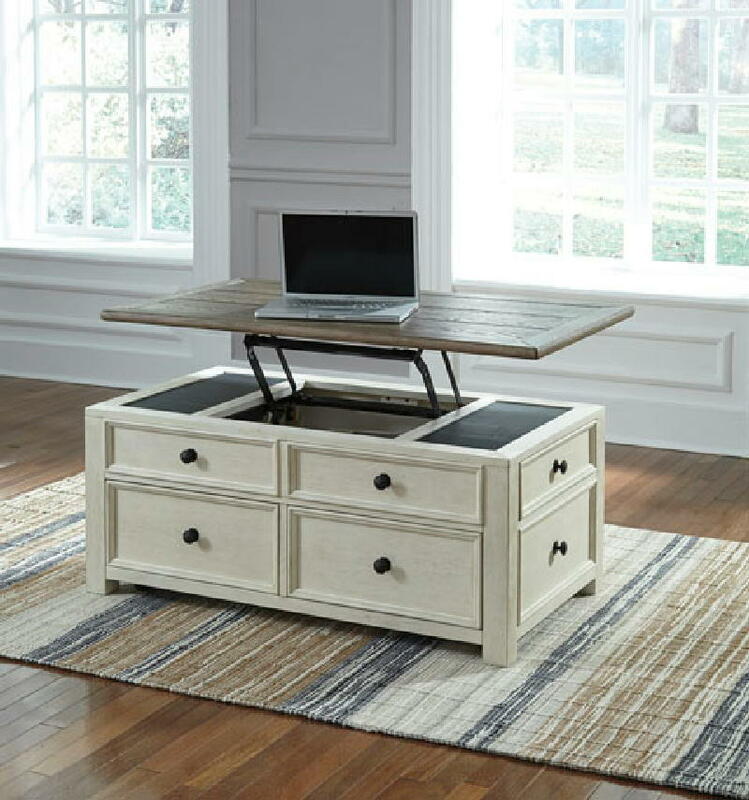 Store, serve and showcase your favorite things with the Bolanburg lift top cocktail table. 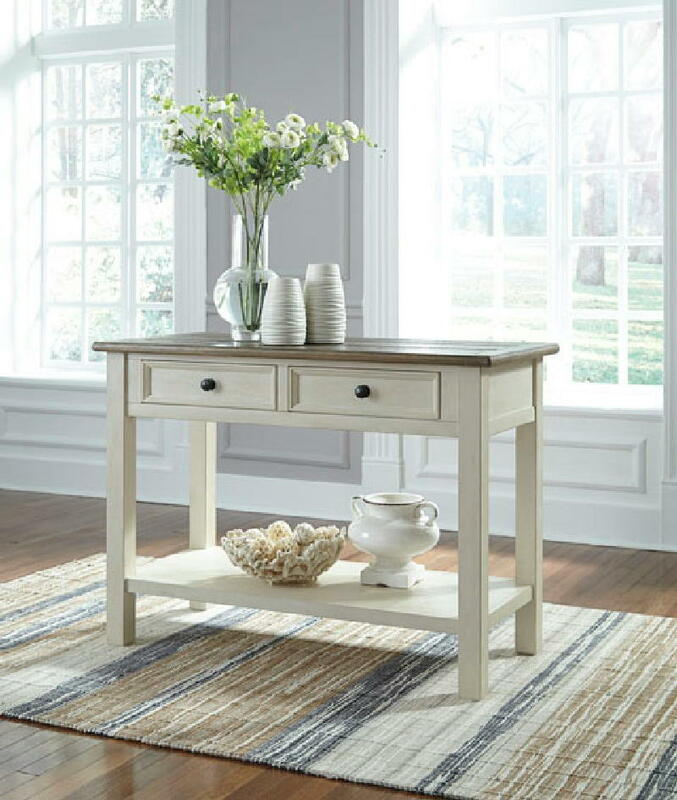 Its textured antique white finish creates a vintage two-tone look that will endure for years. 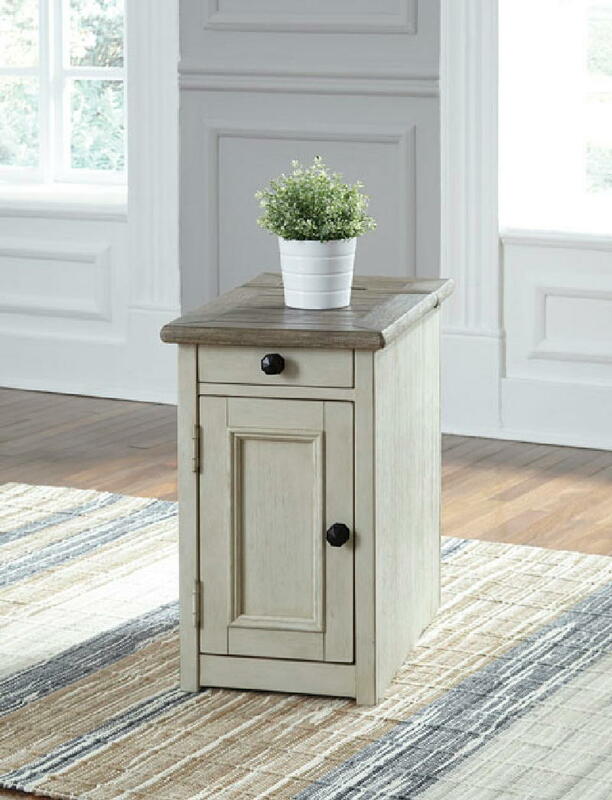 Chair side table has pullout tray, large door for storage and lift up top back section that exposes an AC power supply with 2 USB charging ports. Also included in the collection are a sofa table and end table with generous proportions.